Image: taken by Regina, SK, photographer and writer Shelley Banks at St. Peter’s Monastery. 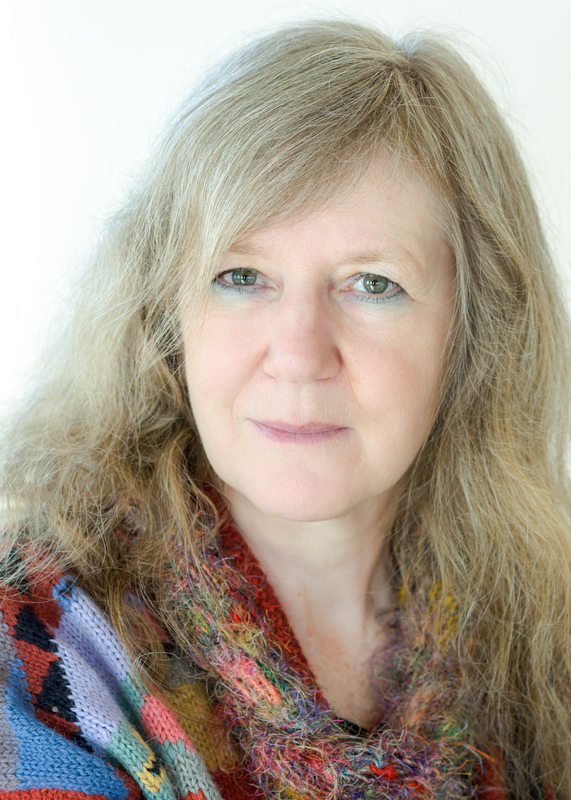 dee Hobsbawn-Smith’s award-winning poetry, essays and short fiction has appeared in publications in Canada, the USA, Scotland and elsewhere. She earned her MFA in Writing at the University of Saskatchewan in Saskatoon, SK. A freelance journalist and retired chef, she lives west of Saskatoon with her partner, the poet and writer, Dave Margoshes. Her debut poetry collection, Wildness Rushing In, was published in 2014. What Can’t Be Undone: Stories was published in 2015 by Thistledown Press. She’s working on her first novel and an essay collection-in-progress, Bread & Water. She’s a local foods advocate, has been active in Slow Food for fifteen years, and she’s written a stack of books about food, including Foodshed: An Edible Alberta Alphabet (Touchwood Editions, 2012). In her spare time, dee quilts, and has taken up crafting hand-bound chapbooks under her imprint of Dogpatch Press. She served as the 35th Writer in Residence at Saskatoon Public Library; her term ran from September 2015 until end of May 2016. I am a farmer’s daughter and grand-daughter and great-grand-daughter. That didn’t seem important when I was younger, but it’s become more so as time passes. Hands in the soil is grounding, and who I am – have been, might become – has been shaped in part by my bloodlines. Like so many Canadians, I’m a mutt, of off-Colony Hutterite extraction on my mother’s side, and Irish-Scottish-French-Anglo descent on my dad’s. What it means for sure is that like my siblings, my parents and my sons, I make things with my hands; we’re all artisans. I make stories, poems, essays, novels. And food. Clothing. Gardens. The texture, shape, smell and colour of a thing matters. And the taste, too. If you want to make my day brighter, offer me a really good coffee or glass of wine to drink while I write. Like many writers, I scribbled as a kid and teen, but I was born into a practical family. It didn’t even occur to me that I might become a writer; writers starved, and I liked home cooking, good fabric, well-cut clothing. What I did was acquire a trade that I, child of a gypsy Air Force family, thought would travel gracefully. Journalism beckoned, but instead, I became a cook, then a mother, wife, caterer, restaurateur, chef. I didn’t travel or move around as had happened as a child, and my culinary career and much of my parenting life was centered in Calgary, a busy, energetic city with a burgeoning but still-raw culinary scene. To up the educational ante, I took myself, my then-husband and our babe-in-arms off to Europe, to cooking school in Annecy, France, with one of the grande dames of the culinary world – chef, author and educator Madeleine Kamman. She terrified me, but what she taught me became the ground I stand on as a cook: learn methodology, understand process, then add the flavours you love. It’s not so different from learning to write. My sons were small when my then-husband and I bought and opened a restaurant in the city’s Mission district in 1992. By then, I was thoroughly inoculated in the Euro tradition of “eat your view.” My restaurant, Foodsmith, seated 37. I changed the menu every day, and like my friend Sal Howell’s chefs did when she opened River Cafe on Prince’s Island, I bought from and championed what few local growers existed in Alberta at the time, and who were willing to do business with such a small bistro. It was the start of an ongoing love affair with “my” farmers, the men and women who produce small-scale sustainably-raised foods for Albertans. Some of the families I bought ingredients from have become lifetime friends, and Foodsmith was celebrated for its innovative Canadiana Cuisine, ahead of the locavore curve that would arc into North America a decade later. Unfortunately, my restaurant didn’t survive more than two years. My health suffered, my kids missed their mom, and I got out. Five years passed before I stopped missing that daily wade into the waters of creativity, standing in the walk-in, the day a black box, deciding what to cook today. So while I ran my small catering company, taught cooking classes and raised my boys, I took up my pen and started working on my first book, a cookbook. My first article, an essay titled “Love Affair with a Wolf,” appeared in Calgary’s City Palate in 1995. Two years later, my first book was published by Whitecap Books. Saying it so simply gives the impression that the process of writing that first book, finding a publisher and surviving the first and subsequent round of edits was a cakewalk. It was easier then than it would be now. I was a nobody from a brash western city, years before the Food Network and Top Chef and Chopped raised the profiles of chefs in North America. But on the plus side, it was before the Food Network, Top Chef and Chopped. I got a book deal. I might not now, if all other factors were unchanged. My second book and the end of our marriage almost coincided. I became a single mom, moved into and out of several houses and one loving but short-lived relationship. A weekly freelance column and regular features for the Calgary Herald surfaced, and freelance writing for a variety of publications became my bread and butter along with the classes I taught at The Cookbook Co. Cooks. My third and fourth books evolved from that newspaper work, but by 2005, I’d been bitten by the literary bug. My first poems and stories were graceless creatures, missing limbs, sightless, awkward. That year, my friend, Rosemary Griebel, a talented poet, suggested I apply to attend Sage Hill Writing Experience. Sage Hill became my well, and I attended five times between 2005 and 2013, working with some of the finest poets and fiction writers in the country: Phil Hall, Sue Goyette, Karen Solie, Dave Carpenter, Barry Dempster, Don McKay. My first poem was published in 2007, in Room, and I thought, “Oh, that was easy!” But in the Slow Food tradition that has become my walking stick through the world, one doesn’t rush one’s meals, the cooking or the consumption. So it was with becoming a poet, fiction writer and essayist. The hardest lesson was learning to put a piece of writing away. At first, I couldn’t give a new piece a rest, but gnawed at its edges without reading its heart. Finally I realized that Time would work with me, that the heat of creation would cool with its passing, so I could see flaws and potential, a diamond cutter peering through her loupe at uncut carbon. In 2010, my youngest son left home to live his own life as an adult. Soon after, my partner Dave Margoshes and I moved to an acreage carved out of what had been my family’s farm, not far from Saskatoon. “Undercurrents,” my first short story in print, appeared in The Malahat Review a year later, and I was hooked. I joined the Saskatchewan Writers’ Guild, enrolled in the University of Saskatchewan’s MFA in Writing program, and plunged headlong into full-time writing. We live beside the lake that our land became in 2011, when “the flood” inundated the province. I am happiest when I walk the dogs each morning, a promenade along the causeway through the water that is our driveway, waterfowl fluttering and chattering. My sons, both professional cooks in Calgary, come to visit, and we cook together. I feed Dave, our friends, my parents. And my gypsy soul is fed by the land my grandfather farmed. All material Copyright© dee Hobsbawn-Smith. NO poaching, please. Get in touch for images & clips, etc.